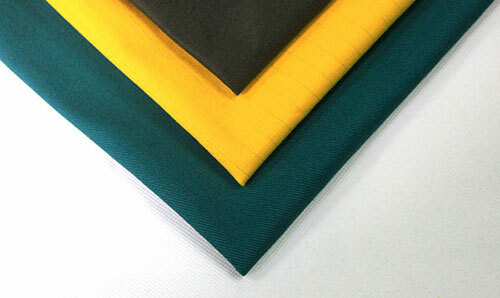 1 GB 17591 "Flame-retardant woven fabric"
This standard specifies the product classification, technical requirements, test methods, inspection rules and packaging and marking of flame retardant woven fabrics. The standard classifies the flame retardant properties of the flame retardant woven fabric into two levels: 1) B1 grade: Damaged length ≤ 150mm, After flame ≤ 5s, After glow ≤ 5s; Grade B2: Damaged length ≤ 200mm, After flame ≤ 15s, After glow ≤ 10s. Test method for smoldering performance according to GB/T 5455. According to product use or The assessment level is determined by both the supplier and the buyer. Generally, the B1 grade is suitable for the decorative fabric for taking and special needs, and the B2 grade is suitable for various decorative fabrics. 2 GB 8965 "Flame Retardant Protective Clothing"
This standard specifies the technical requirements, test methods, inspection procedures, marking, packaging, transportation and storage of flame-retardant protective clothing. It is only suitable for workers who have open flames, emit sparks, operate near molten metal and have flammable substances. Flame-retardant clothing for use in places where fire is dangerous. Its general flame retardant properties are tested according to GB/T 5455. The flame retardant grade is divided into three grades: A, B, and C.
(3) GB 50222 "Code for Fire Protection of Interior Decoration Design for Rent Reduction"
This standard specifies the flame retardant requirements and test methods for decorative fabrics in the home (such as curtains, curtains, bedspreads, furniture covers, etc.). According to the GB/T5455 vertical method, the decorative fabrics in the underground civil buildings must reach the B1 level demon, the decorative fabrics in the high-rise civil buildings must meet the B1 requirements, and the bedspreads of the houses and hotels in the high-rise civil buildings must be B1 level requirements are met, and curtains, curtains, and furniture covers are also required to meet Class B1 thickness B2 requirements depending on the building and location.